One Toyota truck. 22 years old. 325,000 miles. Is anyone surprised by those numbers? This 1996 Toyota Tacoma has been my neighbor’s daily driver since our home city of Atlanta hosted the Summer Olympics. Bob bought it for $13,500, roughly $20,400 in today’s money, and not much has really changed in all that time. The Tacoma’s front bench seats have surprisingly minor wear with not a tear or stain in sight. The 2.7-liter four-cylinder and four-speed automatic have remained in beautiful working order. Fuel economy? About 25 miles per gallon. Not bad, either then or now. My neighbor wants to keep his truck for forever and a day. He loves it and spends a fair deal of his daily free time driving to restaurants and the movie theater instead of driving by the dealership. It’s a keeper. These outstanding results from the Long-Term Quality Index encompass over 10,000 Tacomas (10,094 as of February 2018). This little Toyota has not only exceeded the small truck average when it comes to the powertrain. It has set the gold standard of long-term quality for the entire segment which now encompasses 11 unique models, all of which exceed the industry average, and over 34,000 vehicles that have been inspected and appraised by hundreds of ASE certified mechanics over the last five years. The Toyota Tacoma may be a light-duty truck with limited popularity, but it has remained a quality heavyweight for well over two decades. You name the year, the end result is the same. The Tacoma has remained a small truck standout in a market that hasn’t offered an American competitor since 2011. Guys like my neighbor who don’t want a supersized version of their wants and needs have remained loyal to the brand. This level of owner loyalty, which is not all that uncommon these days, makes me wonder about today’s marketplace and whether there may be an equivalent to Bob’s Toyota. Is there anything out there, brand new or just recent, which can give owners a similar level of reliability and value? Even with a healthy inflation adjustment, the average new truck now sells for twice the price of what was once a mid-spec Tacoma. Thanks to the average price of a truck eclipsing $40,600 two years ago, you now will likely need to save for two Tacomas just to buy that one Tacoma. But what about something a bit more affordable that just barely tickles that $20,400 drive-out price, give or take a rebate? 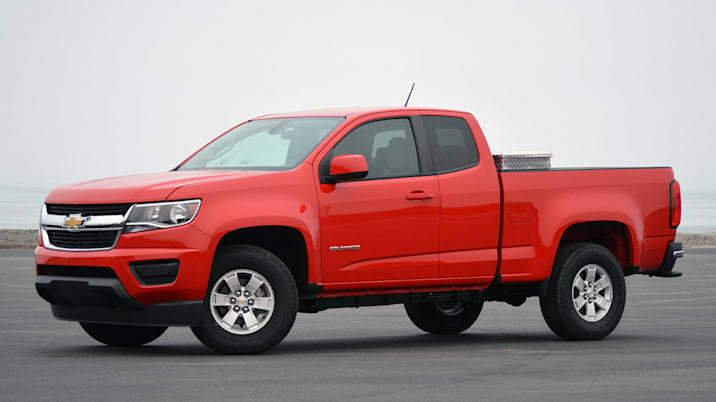 The Chevrolet Colorado and GMC Canyon are perhaps the closest competitors to the old Tacoma in terms of price. However, size as you can see is a completely different matter. As there are so many models to choose from, it is understandable that you may have trouble picking the perfect truck. But with the help of professionals like Chevrolet Dealers, they will give you all the information you need to make that final decision and hopefully save yourself some money. 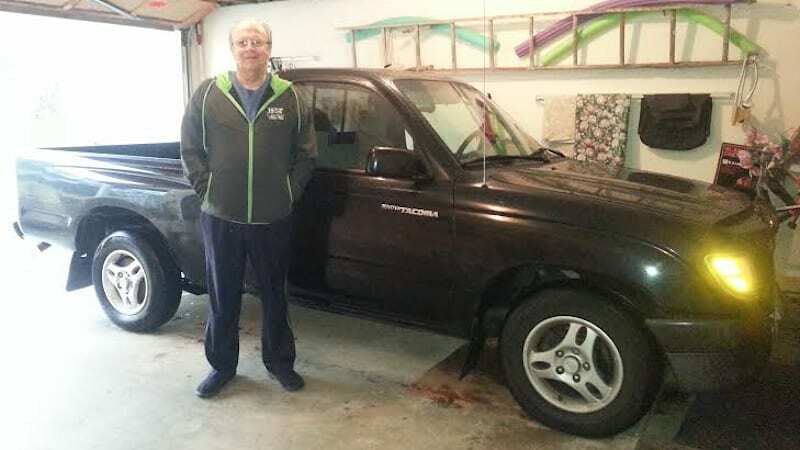 The GM twins are several feet longer, more than two feet higher, and a healthy thousand pounds and change heavier than the old Tacoma truck. You want comfort and quiet? You want an extra two doors, infotainment aplenty, and all the safety features of a modern car in a truck body? It’s no contest. If you’re a highway warrior or a frequent family hauler, the Canyon and Colorado offer a world of betterment. Beyond being more comfortable to drive, these modern trucks offer pages of technology-driven options such as built-in WiFi and Siri Eyes Free functionality, plus upscale touches such as brushed aluminum accents that would have been inconceivable back when the little Toyota truck was showroom new. But is there love with all that extra ? There’s certainly safety, and that should be a priority if you are travelling with others. If you have been involved in an accident whilst driving your truck then you may want to click here to discuss your situation with lawyer, alternatively you can contact a legal representative in your area. I would say yes, but to me it’s not quite the same type of love that is offered with the old Tacoma. 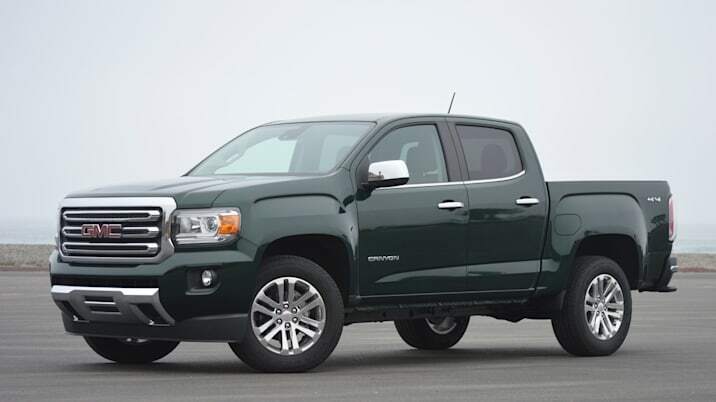 The Colorado and Canyon are the rolling answer to the age-old question, “Do you really need a bigger vehicle?” When it comes to satisfying the needs of the full-size truck buyer, I would definitely look at buying a more loaded-up, and well-discounted midsized truck over a bare-bones full-sizer. But I’m not the new truck guy. I don’t need the space or the supersized, well, everything of today’s Silverados and F-150s because I’m not quite their $40,000 truck customer. For my daily use, trucks are just tools that I only need for unusual long-term projects such as clearing brush from my acreage or transporting a vehicle back from a nearby auto auction. I don’t need a truck every day. Would life be a little better if you had a new truck instead of an old truck? Would you be willing to pay, say, $30,000 for a new truck that has an MSRP at $34,000 and keep it for the long haul? Or are you more of an old-truck enthusiast who is willing to put up with more repairs and a healthy bit of rattles and interior cosmetic issues in exchange for having the tool aspects of a truck? You can always upgrade an old truck with accessories such as a tonneau cover. It’s your truck to choose. You can make it loaded from the ground up, or as stripped out as a bare-bones commercial truck that can be hosed down and aired out with crank windows and a long road trip. You can even have it with no A/C and manual steering if you like. So tell us, since it’s your money and not ours, would you choose a new truck or an old one?